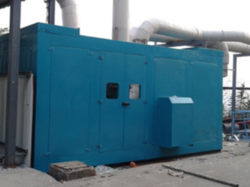 Our range of products include blower acoustic enclosure, compressor acoustic enclosure, gas turbine acoustic enclosure, acoustic enclosure and sound proof enclosure. We are a well-renowned organization in the industry to provide our patrons the best quality array of Blower Acoustic Enclosure. The sound enclosure system is a modular type includes an independent frame and removable panel system, silenced air intake and exhaust fan. Our acoustic enclosure offers flexibility to remove panels with quarter-turn retainers for easy maintenance. 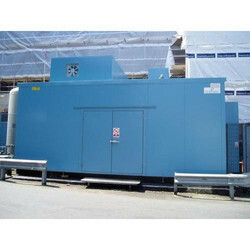 Being a leading enterprise of this industry, we are offering a huge range of Compressor Acoustic Enclosure. The acoustic panel can be provided with different STC rating designed as per noise reduction requirements. Owing to the efforts of our dedicated team of professionals, we have been constantly engaged in offering the best quality Gas Turbine Acoustic Enclosure. This enclosure is designed for gas turbines as well as for other industrial machinery. 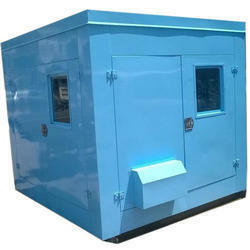 Offered enclosure can manufacture in mild carbon steel, stainless steel (304 and 316), and in aluminum. Inert gas fire extinguishing system. Shutdown of the ventilation system and closure of its fire dampers. 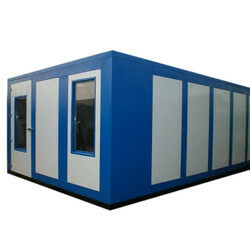 As a quality focused firm, we are engaged in offering a high-quality range of Acoustic Enclosure. It is used for DG Rooms, Compressor Room and Engine Test Cell. 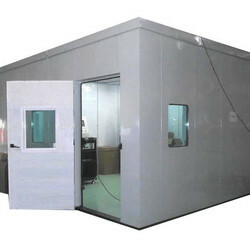 We are remarkable enterprise, involved in offering superior quality Sound Proof Enclosure. We help to solve noise problems by providing a complete line of acoustical panels which can be quickly and easily assembled to provide complete or partial enclosures for noisy equipment or to provide a quiet office in a manufacturing area. Designed to provide optimum noise control through sound absorption and sound transmission loss. Acoustic panels are fabricated of solid steel outer skin, and solid or perforated steel inner skin. These enclosures are available with Hinge / Sliding doors, removable panels, air ventilation packages. Looking for Acoustic Enclosure ?